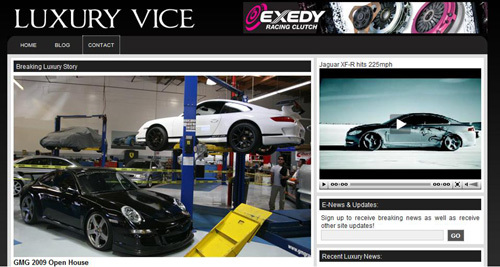 Our buddies over at WreckedMagazine.com just launched a new website that is just for the rich mofo’s out there called LuxuryVice.com. There is some pretty cool shiz-niz to read so click on over. ← WTF?! : Newman/Hass/Lanigan Racing Signs Robert Doornbos and…Milka Duno?!? !